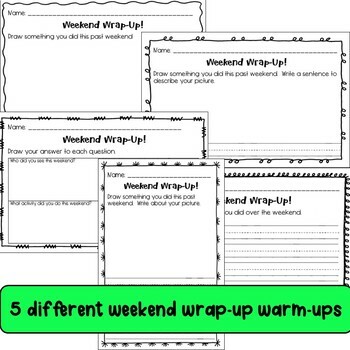 Use these differentiated pages as warm-ups or writing activities. 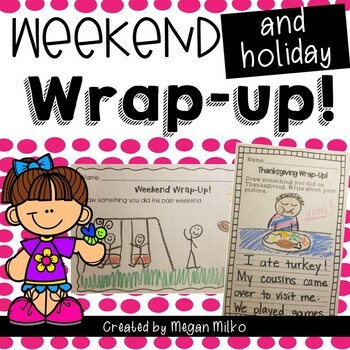 Kids always want to tell you what happened over the weekend or over a holiday break. 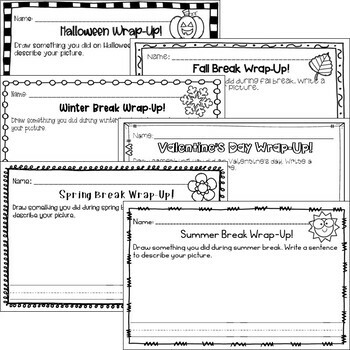 Use these to help them get more writing practice. Start with a picture and then build there way up to a paragraph.